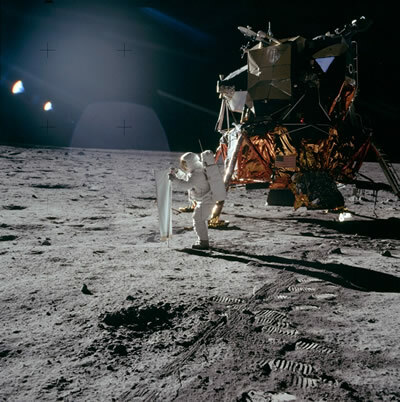 Hear presentations about the Apollo missions, ongoing lunar exploration, and future lunar science plans from experts attending the 50th Lunar and Planetary Science Conference. Ms. Jones the Public Engagement Lead for the Solar System Exploration Division at NASA Goddard Space Flight Center, where she incorporates planetary scientists in educational programs and connects planetary scientists to outreach opportunities. She previously served as the Education and Communications Lead for the Lunar Reconnaissance Orbiter. Space journalist and author Leonard David takes a look at humankind's hunger to return to the Moon. Multiple nations, private companies and even space lawyers are taking part in rediscovering Earth's Moon for scientific, technological and entrepreneurial purposes. What challenges are ahead to "survive and thrive" on our celestial next-door neighbor? Find out from the National Geographic author of the new book Moon Rush: The New Space Race. Dr. Barbara Cohen is a planetary scientist at NASA Goddard Space Flight Center. Her main scientific interests are in geochronology and geochemistry of planetary samples from the Moon, Mars and asteroids. She is a Principal Investigator on multiple NASA research projects, a member of the science teams operating the Mars rovers Opportunity and Curiosity, and the principal investigator for Lunar Flashlight. Ms. Willis is the manager of Sample Science on the Jacobs JETS contract supporting Astromaterials Research and Exploration Science (ARES) - NASA JSC. Her staff conducts active research on extraterrestrial samples, curates extraterrestrial samples including samples from the Moon; and conducts science engagement with the public.